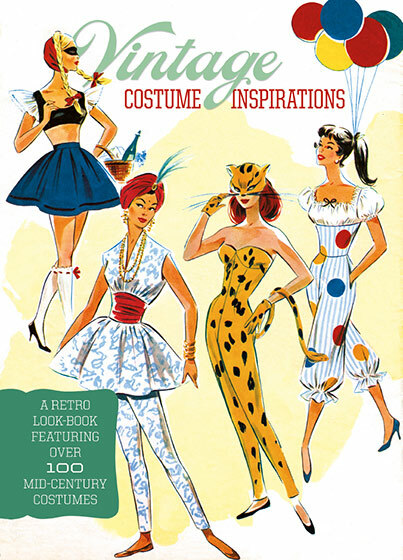 A retro costume look book, featuring over one hundred mid-century costume illustrations. A great costume can come from a simple idea. We offer the images in this book to spark your imagination. The serious crafter can find elaborate outfits to challenge his or her skill, and the more casual creator can be inspired by discovering how a few simple details can make a striking costume. an artist's palette (complete with paintbrush hat) a carrot with carrot frond mask a box of chocolate (for the ambitious costumer) a horoscope a high-tension wire. Be inspired and let your imagination take off!